CITY NEIGHBORS AND BEST FRIENDS. Nubia & Mary are from New York & New Jersey. Nubia was born and raised in Elmhurst, Queens while Mary was brought up in Elizabeth, New Jersey. These two friends share a creative and entrepreneurial spirit. It wasn’t long before they decided to go into business together. While brainstorming, they came up with an idea where they needed a candle. After not finding a candle that was perfect for them for a variety of different reasons such as company mission, ingredients used, brand design, and more, they decided to make their own. Thus, Elmhurst & Elizabeth was born. It’s a magical time for women in business and they decided to dive right in with a meaningful product. SIMPLE . CLEAN . INSPIRING . HAND-POURED BY US, FOR YOU. It is our mission to place love, balance, and healing into your household. Through Aromatherapy and the Power of Positive Thinking, we seek to provide everyone who lights our candles with both a physical and emotional experience. Our candles will enhance your well-being and way of life. 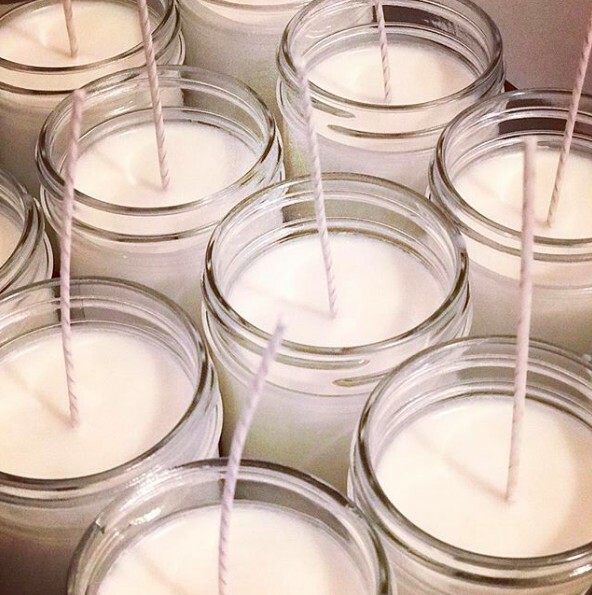 Elmhurst & Elizabeth candles are made with 100% soy wax for a nice clean burn that won’t pollute your air. For our Aromatherapy Collection, we use pure therapeutic grade essential oils that are 100% natural. Our essential oil blends are made personally by us with the goal of capturing the perfect aroma for you. Essential oils are a gift from plants and the earth that are known to have healing properties and the power to uplift your mood. Elmhurst & Elizabeth also carries a Phthalate-Free Premium Fragrance Oil candle collection full of rich and enticing aroma.